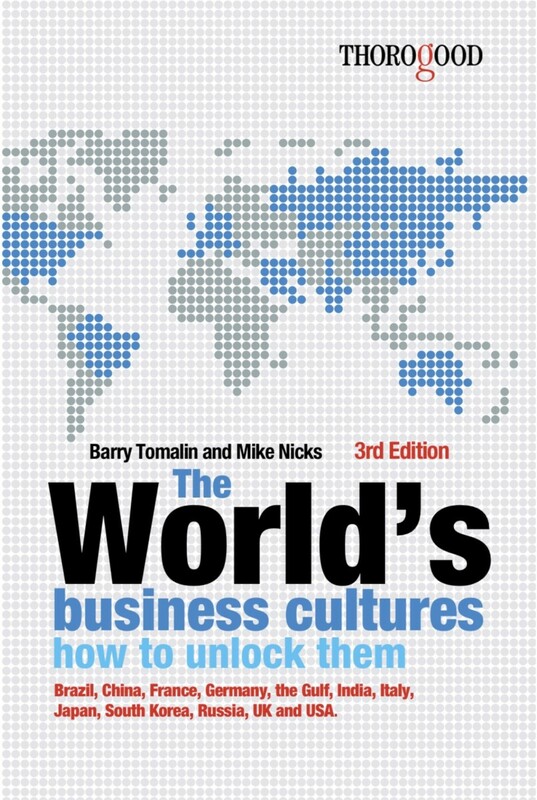 The third edition of Thorogood’s The World Business Cultures: and How to Unlock Them shows readers how to create connections and win deals in global business, rather than committing clumsy and costly faux pas. It shows the reader how to assess and understand the business customs and thinking of other countries, and how to mold your approach to achieve rapport and trust. With this book, you'll never get the tone of a presentation, negotiation or social meeting wrong again. It gives guidance on how to handle yourself in person-to-person situations, and in the digital world. "Whether you need advice on presentations to an international audience, running international meetings, or leading an international team -- you will find "gold" and much more in this wonderful resource." Barry Tomalin is Director of Cultural Training at International House in London, one of the largest language and cultural training organizations in the world, and Visiting Lecturer in Cross-Cultural Communication at the University of Westminister. He is the author of many books and has trained in 65 countries. Mike Nicks is a journalist and a media and communications coach. He has worked on the launch or development of more than 30 magazines and newspapers in Britain, France, the USA and Australia, including titles as diverse as Nursing Times in London, the best-selling Motor Trend in California, FHM in Paris, and the surfing monthly Tracks in Sydney. He trains journalists in leadership, editing and writing techniques, and helps business people to communicate in effective English. He is a consultant with PMA Training, Britain's largest media coaching organization, and International House Cultural Training in London. He contributes to The Guardian, The Independent and The Observer newspapers, is passionate about languages and world business cultures, and speaks Spanish and French as well as his native English.